Well done to all those eager orienteers who braved the elements last Saturday in Tir na Spideoige for our training day. Brian had some challenging training exercises planned to test our map reading and interpretation of the terrain. If you missed out last Saturday we will be returning to the area for more technical training on Saturday March 30th so put that date in your orienteering diary. Speaking of diaries, we now have a Strava club for CorkO. Strava is an online training platform for logging your workouts, easy runs, O races etc and keeping a digital training diary. Its easy to set up a Strava profile and link in garmin connects system. The group is private so requests need approval by the account administrator. If you would like to share and compare your training activity with other club members you are welcome to join the group. It might give you that extra bit of motivation to train harder! The two technical training events will take place at Tir na Spideoige near Inchigeela. This is an excellent technical area and was last used for Day 3 of the 2018 Shamrock O-Ringen. Those travelling from Cork can meet at Lee Valley Clothing in Inchigeelagh at 10:45am and drive up to the parking location (same as that used for last year's Shamrock) from there. by Thursday February 28th so we can ensure we've enough maps printed. The second event in the 2019 Munster League will take place this Sunday February 24th at Knocknagalty, (Galty Wood), near Kilbeheny on the Limerick/Tipperary border. Mixed forestry, good road/track network. There will be courses to suit all levels of orienteering ability. The map has been updated. The forest is very nice place for a run. Course closing time is 2pm - controls will be removed at this time to ensure those who wish can watch the Ireland v Italy rugby match that day. For the last number of years CorkO have organised a successful Strength and Conditioning class throughout the winter. This weekly session helps improve our flexibility and balance. 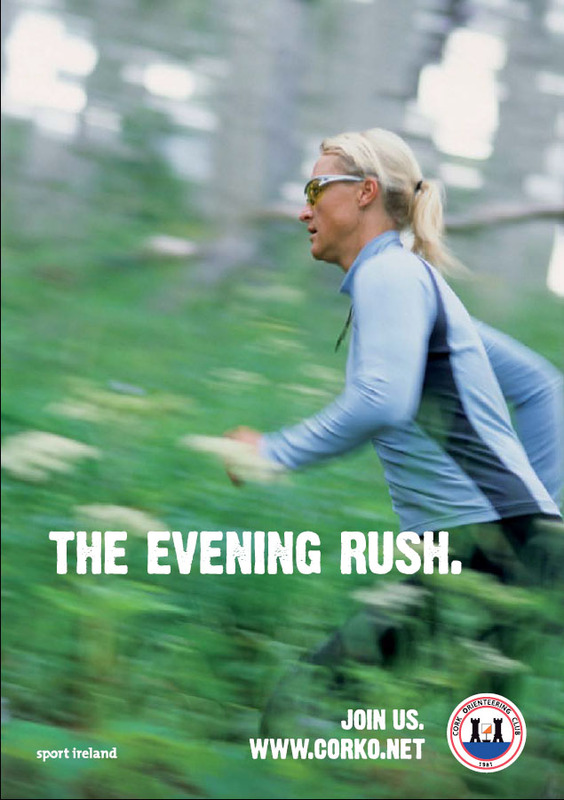 The training is specially geared to running helping to avoid injuries and improve your strength and stride. We have 20 places so email Danny NOW at dannyohare (at) gmail (dot) com to reserve a place in our next block of classes. Join us next Thursday 27th December at Fota House and Gardens for some festive orienteering fun! 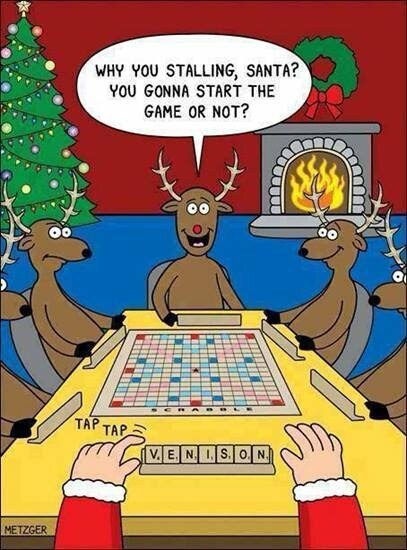 This year's event will be a Reindeer Scrabble Score. Blitzen, Rudolph, Dasher, Dancer, Vixen, Comet and Cupid. The aim is to spell the name of as many reindeer as possible using the lettered controls in the allocated 45-minute time limit. Words can be gotten in any order however all words must be spelled correctly. Each control can be visited only once so multiples of some letters are on the map. To make it a bit easier; possible (high scoring) different combinations are below, remember words can be gotten in any order so long as they are spelled correctly. Can you find the optimum route? Other combinations using five of the seven reindeer listed above are not possible due to SI punch limits or not enough of the required letters being on the map. Combinations more suited to juniors. Other combinations using four of the five reindeer listed below are not possible due to not enough of the required letters being on the map. These combinations will be printed on the map. A maximum of 30 controls can be punched (limit of older SI cards). This rule applies to all participants regardless of your SI card. Penalties are applied for being over time, incorrect spellings or visiting the same control more than once. There will be a Mass Start at 12 noon, with another mass Start at 12:30 if required. Registration will be open from 11:30. Hope you can join us and don't forget your stopwatch! Kilworth Military Range was the destination for the final event in the 2018 Munster League. All the entrants who choose orienteering over Christmas shopping on Sunday December 16th were treated to an early Christmas surprise. Despite the driving rain that most competitors encountered enroute to Kilworth Military Camp there was a welcome surprise in store for all at their orienteering destination. The rain ceased and clouds parted and the clear blue sky provided some fantastic views across the camp and it's environs and made for a very pleasant orienteering experience on the day. Kilworth camp always features late in the orienteering calendar and regular visitors to this area come prepared for the cold and wet conditions but the balmy weather on December 16th were most unexpected and very enjoyable. Following all the heavy rain the terrain was quite wet underfoot and The mooreland terrain with it's military ranges and pits had a few additional water features for orienteers to negotiate. The river was flowing fast on the day and it's gushing sounds were audible from afar. The courses were very competitive on the day. Jens Waechter claimed the winners title on the Brown course when he completed the testing 11km course in a time of 72:47. On the blue course it was Liam Cotter who punched the finish first when he completed the 8.4km course in a time of 63:06. The honours on the Green course when to the Munster League coordinator Danny O'Hare who punched all 18 controls on the 6.8km course in a time of 59:01. Darragh Hoare made short work of the 4.9km Light Green course beating all entrants including all his own family when he finished in an impressive time of 39:35. The Red course winners was Ted Feehan. He covered the 4.4km course in 66 minutes and 46 seconds. The Orange course event winners was Ber O'Sullivan she visited all 12 controls in a time of 90:19. Huge thanks to Sean Murphy for planning and organising the event. Thanks also to John Scannell for assisting with control collection. On the Blue course Liam Cotter CorkO is the winner ahead of Cathal Lane MCBS with Aaron Coughlan in third place. Cliodhna Donaghy from GEN is the leading lady and Munster League ladies champion for 2018. On Green Liam O'Brien CorKO is the mens winner. For the ladies Liz Deane CorKO was a narrow winner ahead of Natsuko Cotter BOC with Edith Bridcut GEN in third place. On Light Green Pat Cadogan took advantage of the better conditions for later runners in Kilworh to pip Donal Burke. Zane Kramina finished ahead of Mary Curran to win the ladies competition. On the Red Course taking into account the light green points Cathy Kennedy WatO finished ahead of Treasa O'Donovan BOC. On the Orange course no competitors completed enough events. If you haven't received your prize, please do get in touch with Danny. The first event of the 2019 Munster League is in Castlecomer on January 13th!! If you missed the Kilworth event fear not as there is still one final opportunity for orienteering in 2018. Our Christmas fun event will take place at Fota House and Gardens on Thursday December 27th and the planners has some festive fun in store for all. It may help to know the names of all of Santa's reindeer! The terrain is made up of exposed open moorland surrounding Kilworth army camp, interspersed with many networks of earthwalls, gullies & depressions. The terrain ranges from sheep cropped pasture, rough open fields, gorse & tussocky moorland. There are some wet areas of bog on some of the longer courses but even after all the rain, the going is still fast with good visibility. The event will be signposted from the Kilworth Military Camp on the R639. Kilworth ("Lynch") army camp is adjacent to the M8 motorway. If travelling from the South, take the exit off the M8 at junction 14 and follow signs (R639) for Kilworth and Lynch army camp. If travelling from the North, take the exit off the M8 at junction 13 and follow signs for Kilworth and Lynch army camp (R639). Parking approximately 6km from junction 13. The registration is at the Range area (Green shed) and there is ample parking and there will be toilet facilities.